CAN WE DANCE THE HULLY GULLY ON THE JOIE DE VIVRE? 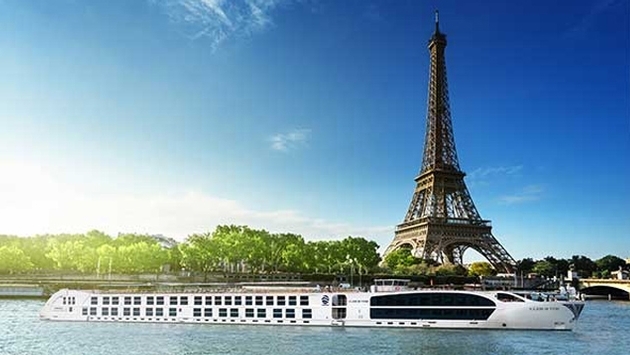 Q – We are extremely excited about our first riverboat cruise in France on the Uniworld Joie de Vivre. It sounds fantastic but we wonder if you have any additional information on our ability to dance. You know, the Hully Gully and the Twist? Our agent thinks they will have dancing. The idea of dancing as we sail out of Paris is just so appealing. Are we going to be able to cut a rug on this cruise? A – No, we’re sorry, dancing with be limited to the Watusi exclusively. You are referring to the Club L’Esprit, a new venue that will be a juice bar and pool by day which will transform into a supper club at night. The dance floor will sit atop the retractable pool cover so keep the Hully down a bit least you fall through into the water. Claude’s will be a supper Club with live music. It won’t be opened every night – the current plan is to serve small dishes with a French flair with Claude’s operating about three nights per cruise. This is an experiment – let’s give Uniworld credit for trying. We are a bit concerned that the dancing may be a bit more tame than what you are expecting. But you can change that!